Are We Post Racism in America? 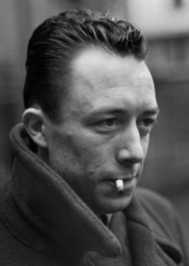 I take my moral courage and imagination from Albert Camus. He informs my thinking at every turn. In his writings in Combat he speaks about French racism as it relates to her then held colonies. What he says is every bit as applicable to the deeply held racist views of certain members of our own Republican party (most notably the Tea Party) when they talk about illegal immigration. It is impossible not to denounce this stupid and criminal malady that has reared its ugly head during recent political discourse and the debates. Sunday September 20, 2015. Breakfast at Denny’s. Ordered the Santa Fe Skillet. Two eggs over easy. When I was a teenager and later a young man living in Louisville many years ago we would often go to the Waffle House after a late night out on the town. After I left Louisvile I never entered another Waffle House for 30 years. Never had the desire nor the inclination. Upon my return a few years ago several of my friends began waxing eloquent extolling the virues of eating at the Waffle House. They talked it up so big that my culinary curiosity got the better of me and I yielded to temptation. I actually visited a Waffle House one Sunday morning near where I live. Big Mistake! It was just as awful as I remembered it. I barely made it home in time before my body nearly betrayed me, if you know what I mean. 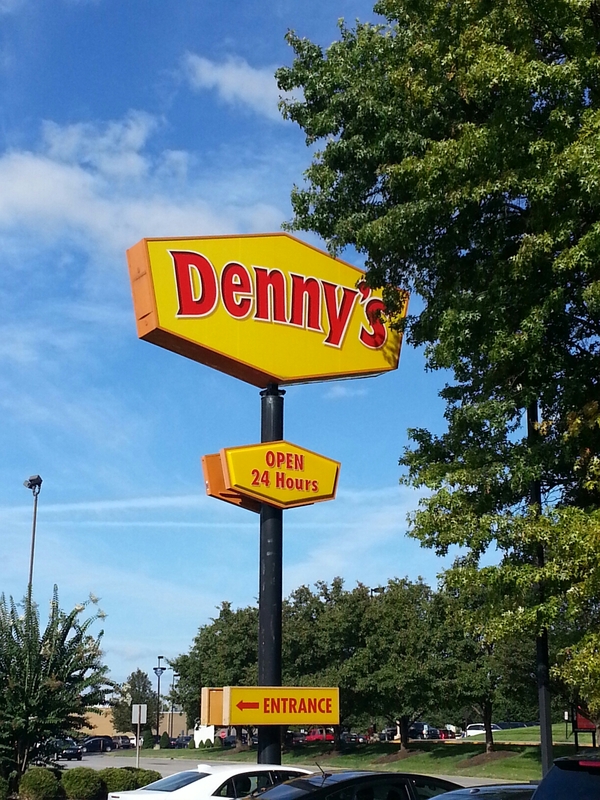 So now, I just go to Denny’s. It’s not much better but it’s sufficiently middlebrow and the food is not bad especially the new skillets. I like Wid Eggs but they are really expensive, usually too crowded and a lit bit pretentious for my taste just have breakfast. Louisville doesn’t exactly abound in Diners, which is actually my preferred place to eat. 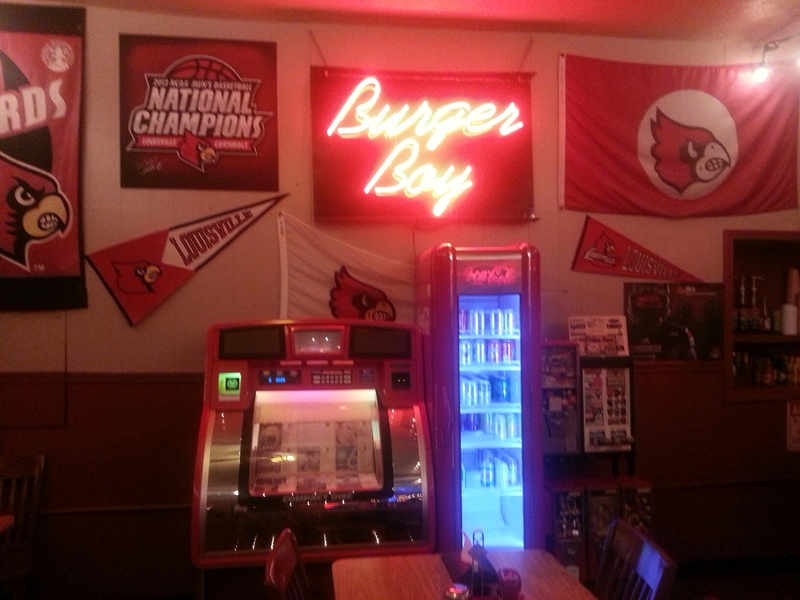 But I did recently find one in Old Louisville that I like. It may just become my new favorite place. I’s a joint called Burger Boy. Food’s good and they serve breakfast 24/7. It is loaded with atmosphere and intesting characters. My kind of place. 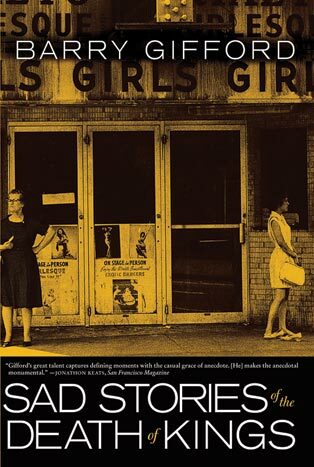 Sad Stories of the Death of Kings is a book of vignettes by Barry Gifford about a boy growing up in Chicago in the 1950’s and 60’s. I’m sure the boy, Roy is a stand in for the author himself. I liked the stories very much and I can relate to Roy in many ways as we are roughly the same age now. Barry Gifford is a talented writer who has penned some of my favorite stories which later became movies: Wild at Heart and Lost Highway (both David Lynch Films). Gifford is reminiscent of two other writers I love: Nelson Algren and Charles Bukowski. I am a great believer of synchronicity and love to connect the dots. In the story, “Roy’s First Car,” Barry details a 1955 Buick Century with a Dyna-Flo transmission which the boy Roy purchases for $300. 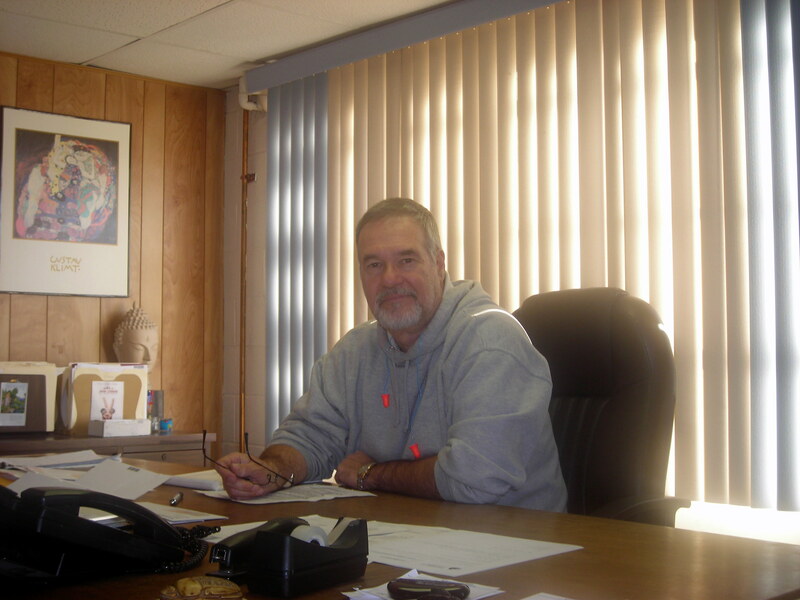 My own first car was a 1955 Buick Century with a Dyna-Flo transmission which I purchased for $300 from a salesman by the name of Grundy Hayes at Broadway Chevrolet in 1965, in Louisville, Kentucky. I will never forget that day or that purchase. Now it shows up again in another man’s book of stories in a different time and place. How’s that for a coincidence? When I read that passage it about blew my mind! It gets weirder but that’s grist for the mill for another story. For God’s sake, let us sit on the ground and tell the sad stories of the death of kings. Suspended Sentences is a book of three novellas, written by Paul Modiano and translated into English by Mark Polizzotti. Modiano is a French writer who in 2014 was awarded the Nobel Prize for literature. This book was my first exposure to this gifted writer with the exception of watching the film Lacombe Lucien in 1974 directed by Louis Malle. Modiano co-wrote the screenplay. At the time, frankly, I had no idea who Paul Modiano was. The stories are set in Paris in a time gone by. Many of the buildings referred and streets referred to have been razed to make room for something else. This contributes to the dreaminess of the vision we are given of the mis-en-scene. Modiano writes in an off handed style that is vague in its presentation. These stories are imperfect memories seen through a soft focused lens with a backward glance through time that seems to have a faded to a yellowish color not unlike sepia. It is an attempt to see into the past and is therefore an afterimage of the past and just as imprecise. In fact the first story is entitled, Afterimage. These stories or novels, were published separately over a period of five years. But they have the feeling of part of a whole. They fit well together. The other two books are, Suspended Sentences, and Flowers of Ruin. The original title of the second story was Remise de peine. The literal translation of this phrase is a stay of sentence, but also it means a deferral of pain. The translator chose well the title Suspended Sentences as it seems to evoke both these attributes. A further resonance for me is the idea of written sentences literally hanging in midair, suspended so to say, which very much captures the style in which Modiano writes. I know exactly where he is coming from here as I have several objects I feel the same way about, almost talisman like in their quality in that they ground me to the earth and hold me fast to reality when in fact most of my life has been a blur. There is nothing more disheartening that endless futile labor or doing something you absolutely loathe or have a fundamental problem with. As you might recall, Sisyphus was condemned to an eternity of rolling a rock up a steep mountain incline only to have it roll back to the valley again once he got it to the top. On his way back down the mountain, he had to think about his existential position. Looked at in another way, work is applied effort. It is what we put ourselves into…whatever we expend our energy on for the sake of accomplishing something. Work in this fundamental sense is not what we do for our living, but what we do with our living. Happiness resides in activity, both physical and mental. It resides in doing things that one can take pride in doing well. Those who have missed the joy of work, of a job well done, have missed something very important. All work can be done well or it can be done poorly. All work can be done cheerfully and with pride or grudgingly and with distaste. Whichever way we do it is really up to us. It is a matter of choice. There are no menial jobs. Only menial attitudes. In the theatre we say there are no small parts, only small actors. Our attitudes are up to us. A laborer is worthy of his hire. As Sisyphus presses his face against the rock, each atom of the stone, each mineral flake of that night-filled mountain itself forms a world. The struggle itself towards the heights is enough to fill a man’s heart. One must imagine Sisyphus happy.